This is a small-scale quilt, meant to hang on the wall. 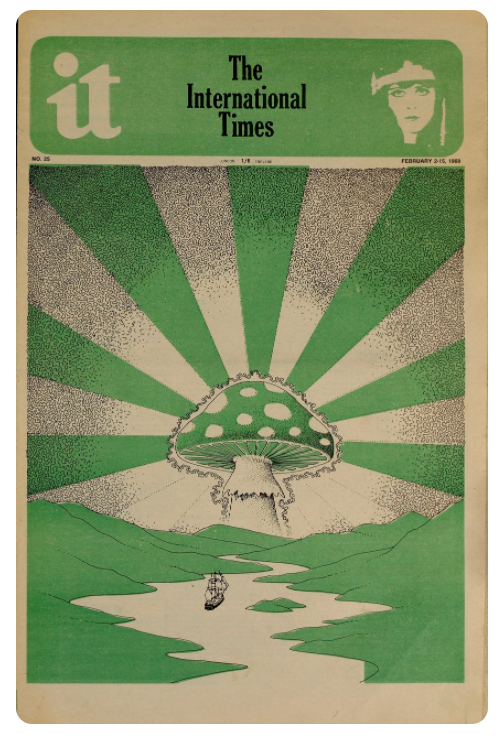 I consider this piece an early example of psychedelic art, which developed in the late 1960s/1970s. 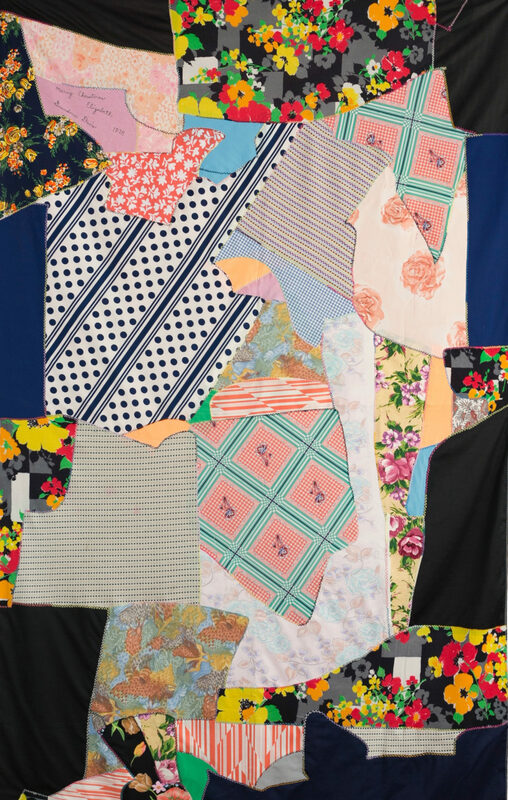 The quilter’s colors, fabric choices, and motifs–paisley sky, bright rainbow, happy flowers and floating fluffy clouds–evoke the counter culture art and vibe of the period. 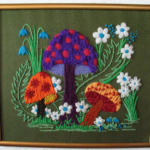 Mushrooms are a common theme found in crewel/needlework or ceramic art of the 70s, and they are also often found in fabric prints. 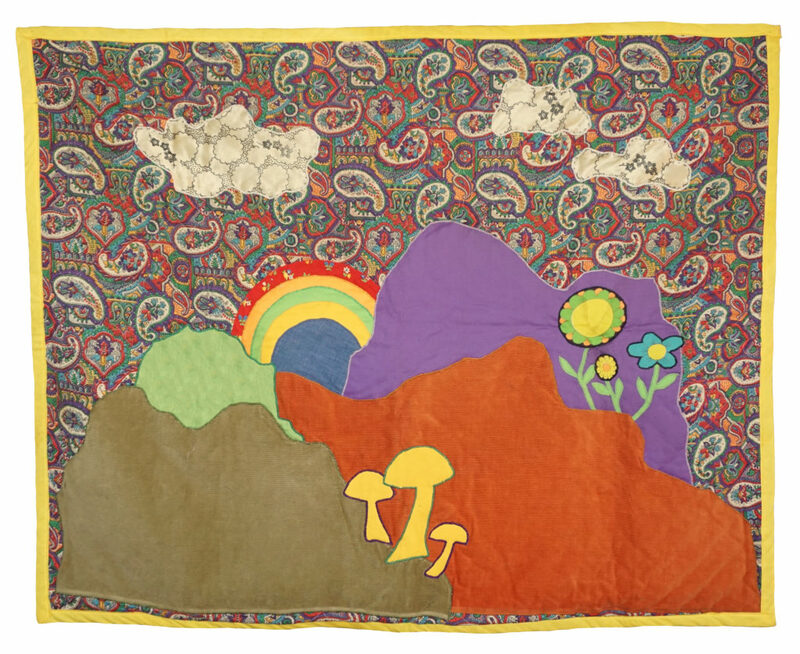 But while there were a lot of quilt patterns published in magazines of the era that were whimsical, depicting landscapes with suns, mountains and rainbows, I’ve yet to see one that centered this floating variety of psilocybin mushroom. For this reason, I believe this is an original design (please point me to other examples, if you have them. I’d love to see them).